Golf Tour Players. ~ Let’s look at the Tour Player……. If you are good enough the rewards really are superb. Get a Tour Card, stay in the top 125 on the European Golf Tour to retain it and you will earn a decent living. You do not need to ever win a main Tournament to earn a good living. Even when reaching your mid forties you have the Seniors Tour to look forward to for another rich harvest of earnings. But how do you obtain your Tour Card? You will probably have to cut your teeth on one of the smaller Golf Tours like the Jamega or Europro Tours first. If you achieve success then you can try for the Challenge tour and eventually through its order of merit or via the Qualifying Tournament get your tour card for the European Tour the “premier league” golf tour. But first you must have talent. Before the age of 20 you must be playing from a plus handicap. 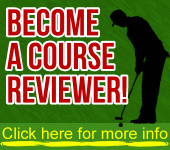 If you cannot win your local Clubs Amateur scratch championship, or County Amateur Championship, or area Amateur Scratch Championship, or the Amateur Championship of your Country, your chances of making it on the Professional Circuit are remote. Even if you are a member of the Walker Cup Team, one of the best twelve Amateur players, representing Great Britain and N. Ireland, the chances of making it on the Professional Tour are slim. Just look at the facts from how many golfers who have represented their Country in the past twenty years, go on to reach the top in Professional Golf. You must have strong mental strength. Having to earn your living day in and day out trying to keep the ball in play on tight courses, or agonising over 6 foot puts that make the difference as to whether you make any money or not , soon sorts out the winners from the rest. You must be dedicated to the practise ground. Your swing has to keep on improving with age, so that it holds up under pressure. You must have a very good short game, and be a solid putter. You must have a good lifestyle, follow a proper diet, do plenty of gym work, and have plenty of sleep, especially when your friends are staying out late partying. You have to resist temptation. To reach the top you must be totally single minded to your cause. Lots of precocious talented young golfers do not always improve with age. Most by the age of 20 have stopped improving. I know of one golfer who was British, European and World Junior Champion, who turned Professional, had some success early on, but now in his late thirties is still trying to earn a living playing in minor Tournaments. You have to enjoy travelling, making your own travel arrangements and living out of a suitcase for the whole of your career. It can be a lonely life, its just you against the rest of the field. Remember it is not much fun travelling across Europe to play in a Tournament, missing the cut, and then having to return home early without earning any money. Finally, you have to have enough money to give it a go. Sponsors usually only appear on the scene when you are successful, not when you’re trying to be successful. Playing on the tour full time with entry fees, travelling, hotel accommodation, spending money and caddie fees, costs around £1500 plus per tournament. So if you are still not deterred by these facts, maybe, just maybe you are the right type to become a Tour Player. Somebody will make it big on Tour over the next 10 years, it just might be you!